2010 was such an incredible year for us and we are so happy that we got to share it with you (whether via TV, net, or by wheels). We are absolutely humbled by all the support you nomsters have given us and look forward to everything that 2011 has to offer. Happy New Year! Nomster Fans Melt our Hearts! 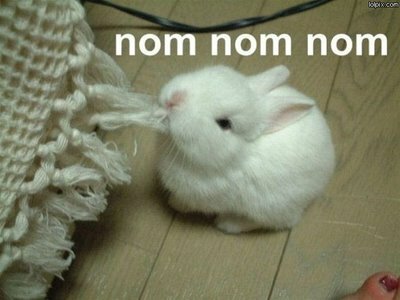 Lil Nomsters in NOM-worthy tees= Priceless! Wow all of these photos just made our day! Lil nomsters Melanie, Owen and Dylan are rockin their Nom Nom Luuuv! Thank you for the photos, we NOM U! :) If you want to purchase a Nomster tee for your adooorable nom-worthy lil nomster, you can shop here!